Are you looking for a unique FUN Outdoor Activity? Those water ball might be right for you. It will bring your outdoor fun to a whole new level! 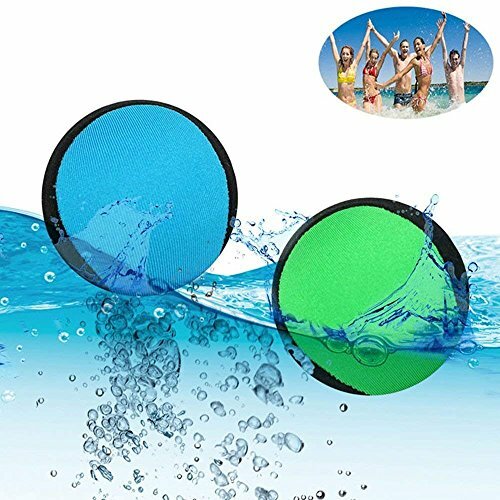 Play with your family and friends.These awesome balls bounce on water! So what are you wait for? You could have one or more. 1.Throw the bouncy ball on the water. 2.Watch it bouncing continuously on the water. Another Way: Hold it in your hand,and pinch it to exercise the flexibility of the fingers or relieve your stress. 4.Get the water bouncing ball dry before you store it. ❤ Good Bouncing Ability: with good bouncing ability,the ball can bounce perfectly on the water and never sink. ❤ Ideal Gift: Perfect for playing at the lake,swimming pool or the ocean,competitive fun for the whole family.Recommended for ages 5 years and up. If you have any questions about this product by BALANSOHO, contact us by completing and submitting the form below. If you are looking for a specif part number, please include it with your message.